Elizabeth Schwartz's research centres on green municipal policy. She explores local government decision-making at the intersection of climate change policy and energy policy. 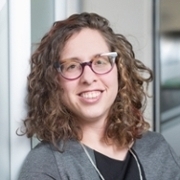 Her current projects examine the role of municipal environment departments in local climate change mitigation policy, density bonusing in achieving environmental policy goals, and intergovernmental relations in local climate change policy. She is also engaged in collaborative research on the implications of trade agreements for the adoption of green and socially oriented procurement at the local level. Schwartz, Elizabeth. “Developing Green Cities: Explaining Variation in Canadian Green Building Policies” Canadian Journal of Political Science 49(4), 621-642. Schwartz, Elizabeth. "Local Solutions to a Global Problem? A Study of Climate Change Policymaking in Vancouver" in Local Climate Change Law: Environmental Regulation in Cities and Other Localities, Benjamin J. Richardson, ed. Northampton, MA: Edward Elgar Publishing, 2012.